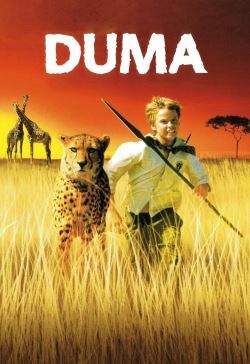 During a nightly Porsche ride with his doting rascal Xan, white South African farmer Peter finds and adopts an orphaned cheetah cub, dubbed Duma (just Swahili for cheetah). It becomes the boy's inseparable playmate, even taking it to bed. Peter made clear from the start that the cheetah should be returned to the wild before its full adulthood. But the father is stricken down with a disease just before the cheetah could be returned. Xan's mother sells the farm and moves in with a city aunt. The cheetah escapes, but finds Xan at school, where the new boy is bullied. He decides to run away to the mountains with Duma. On the way they face countless perils, which courage, Xan's intelligence and Duma's instinct overcome.